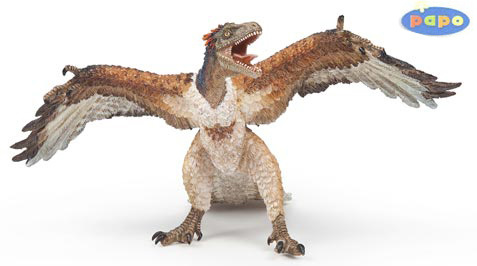 The wait is over, we can now reveal that Papo will be adding a model of the creature sometimes referred to as the “first bird” Archaeopteryx to their prehistoric animal model range in 2014. The figure is of Archaeopteryx lithographica and what a marvellous figure it is. The company will also be bringing out a replica of the fearsome predator Dilophosaurus and a rather cute baby Triceratops to accompany the adult “three horned face” that is already part of the Papo model range. Formally named and described in 1861, Archaeopteryx with its bird-like and reptile-like features is often described as a transitional fossil. 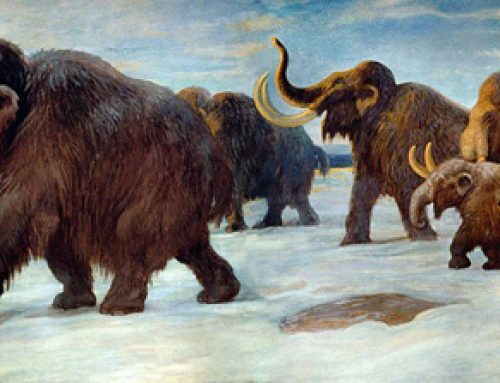 An animal that represents a sort of half-way house between the Dinosauria and the true Aves (Birds). The Archaeopteryx fossil material at the Natural History Museum (London), is regarded as the holotype and it has been one of the most closely studied fossil specimens of all. Everything Dinosaur has reported on a number of academic studies into the fossil material, studies that attempted to provide an insight into this creature’s evolution and Archaeopteryx’s flight capabilities. The second new addition to Papo range of prehistoric animal models for 2014 is this rather wonderful replica of the fearsome predator Dilophosaurus. Available in 2014 from Everything Dinosaur. Dimensions for the Archaeopteryx or the Dilophosaurus have not been released yet but as soon as Everything Dinosaur gets briefed we will post them up on this blog and on our Facebook site. Last but not least comes this rather cute baby Triceratops. The model has been designed to reflect what is currently known about the growth rates and appearance of baby Ceratopsians. The model should work well with the adult Triceratops model which is already in the Papo prehistoric animal model range. The baby Triceratops with its stumpy tail, large eyes and rudimentary horns is an accurate representation of what most palaeontologists think a young Triceratops would look like. The skin texture looks really realistic too, we have been lucky enough to have seen examples of Triceratops fossilised skin impressions and examine them close up. When the prototypes are available we will have to count those toes and fingers but all in all this model and the two other new additions to the Papo range look most impressive. None of these figures will be available before the 1st March next year, when we get more details we will make sure we post them up.